Can you tell I’ve been on a bit of a salad kick lately? I think it’s because it’s always warm here and warm weather makes me want summertime food. I think this salad would be great any time of year though. 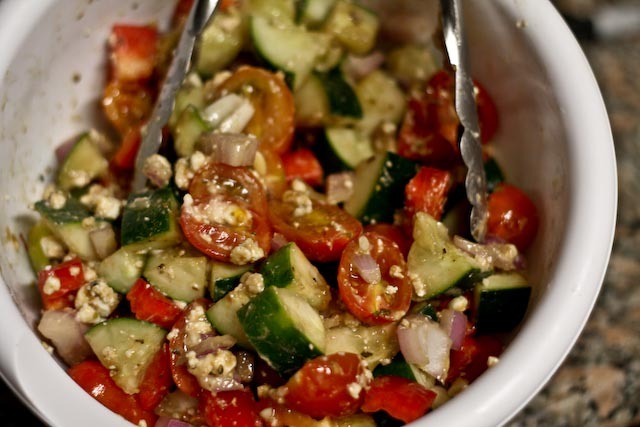 It’s an easy twist on what you might think of as a traditional Greek salad – just minus the lettuce! 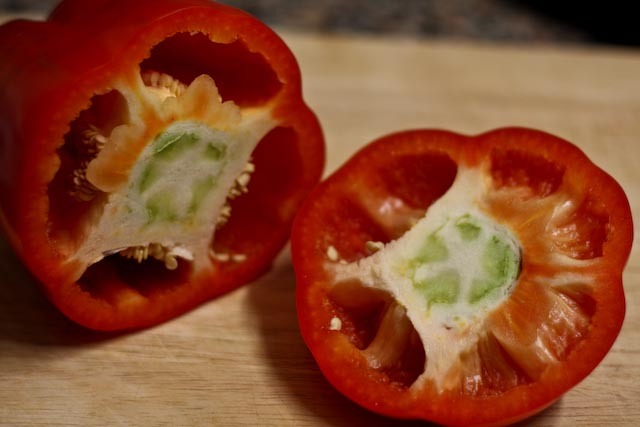 I like red bell peppers best, but if you prefer green (or another color) go for it! I also like to keep the skin of the cucumber on. 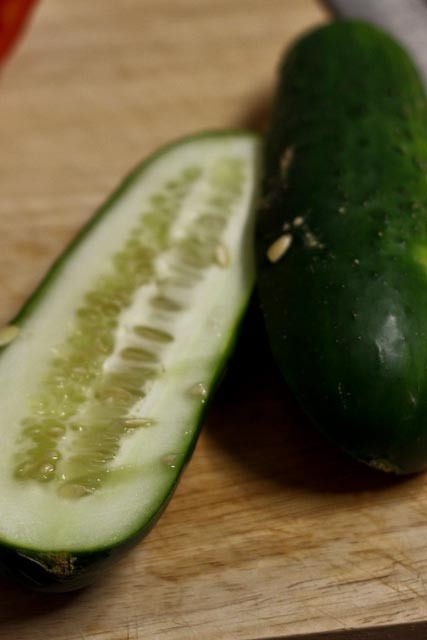 My mother always had me peel it when I was making salads as a kid, but I kind of like the crunchy skin of the cucumber. Just make sure your cucumber is ripe and not too big (they tend to get bitter the bigger they grow). 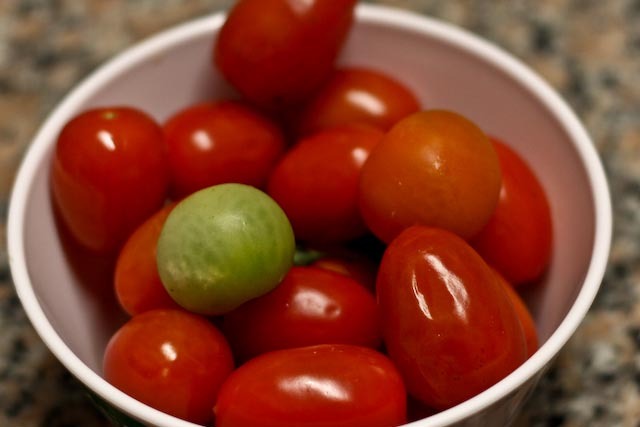 I often use little grape tomatoes, but diced beef steak or roma tomatoes would be great in this salad too. 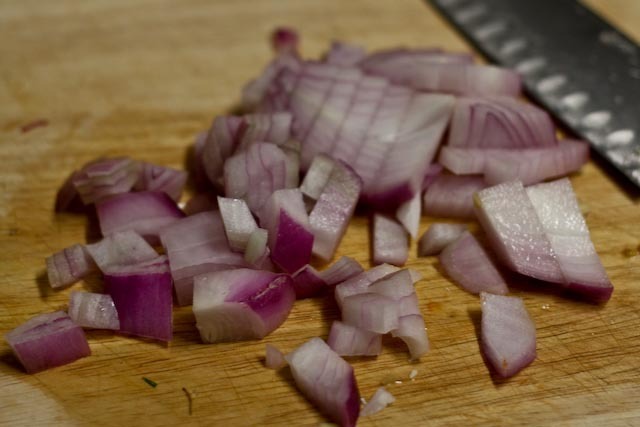 I think red onion is best here. It just has a slightly unique flavor that yellow onions don’t have. If you’ve only got yellow onions at home, they would certainly work. 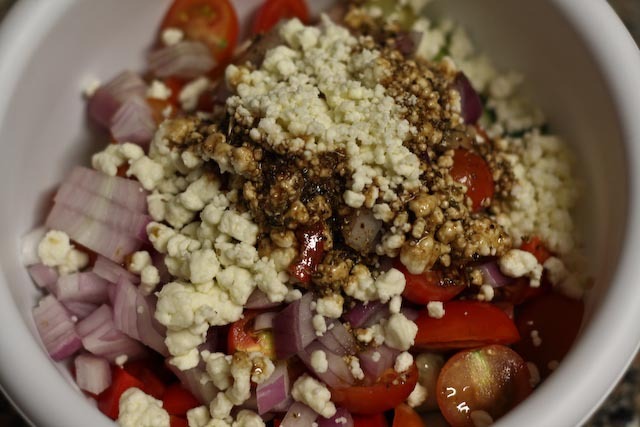 Feta cheese and dressing on top! 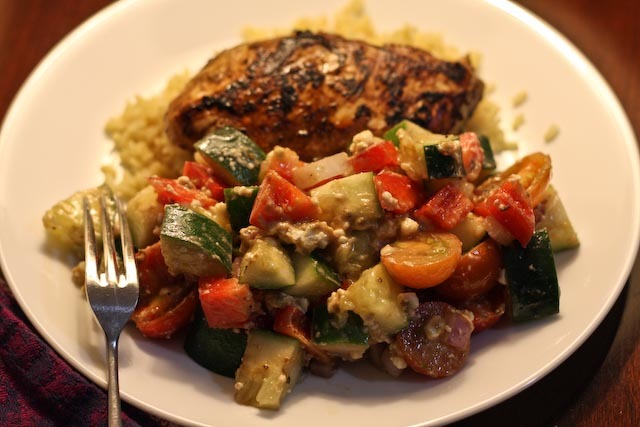 I didn’t have any handy, but I would also suggest adding a few kalamata olives to the salad. They’ll make it a little less “healthy” but will pack some serious flavor. I served mine alongside some brown rice and chicken. Yum! Combine the vegetables in a bowl. In a separate bowl, whisk together the olive oil, vinegar, salt and pepper. Toss to combine. Serve chilled.